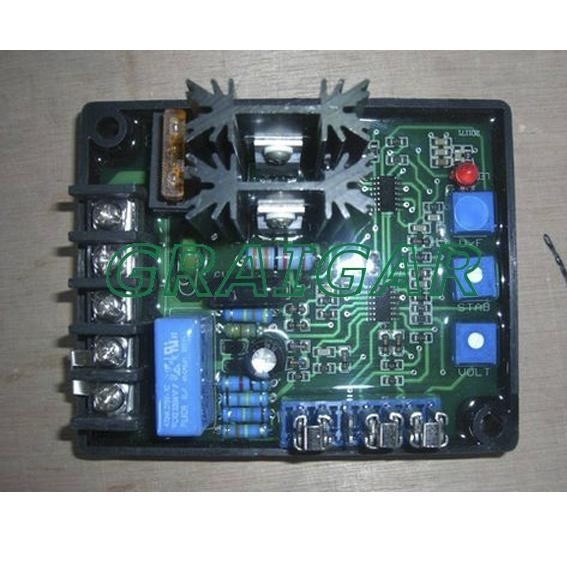 YH-8A voltage regulator of a sealed electronic devices, by adjusting the excitation current in order to stabilize the output voltage of the brushless generator. Positive voltage build up from residual levels is ensured by the use of efficient semiconductors in the power circuitry of the AVR. Decline to a number of built-in generator output voltage drop when the frequency protection circuit. When the generator is less than the use of remanence voltage AVR-building must come from the external excitation.